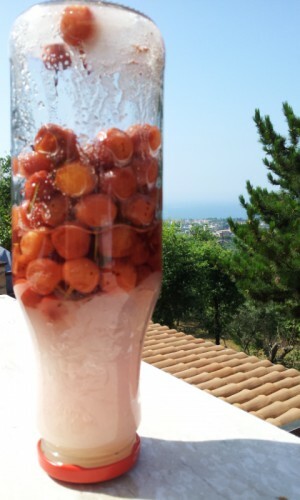 Homemade Italian amarena cherry syrup: When we have our fruit bursting from the trees here in Paradise, it’s all hands on deck to pick them before they fall victim to the birds or the ground. 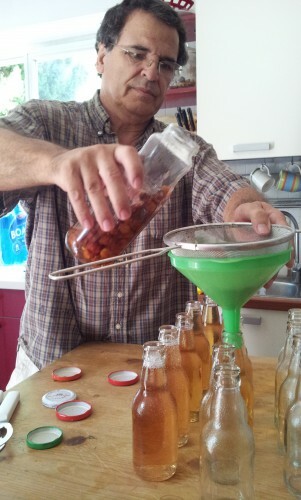 From the tree they are taken to the kitchen for preserving and to be use throughout the year. 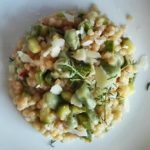 As you can imagine, there are a lot of busy kitchens around Italy during the harvesting seasons. 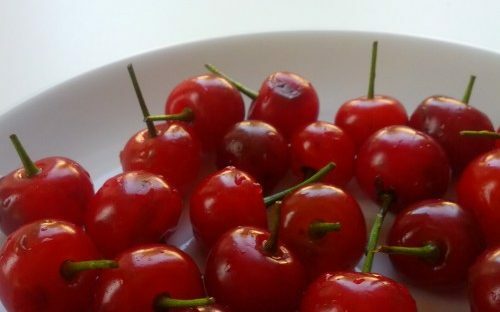 So it should have come as no surprise, as we gathered a few jars of this and that to deliver to family members, that we too should come away from our visit, with a basket of these lovely cherries. 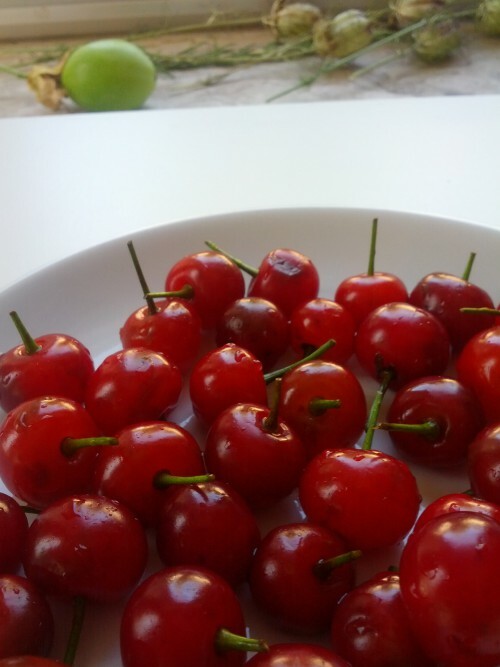 These cherries are known as ‘amarena’ and are not quite as sweet as the everyday cherry or ‘ciliegio’. So once Enzo had helped pick a pile from the tree, Dominico, his wife, Antonio and his wife, all started to give us a list of ways to deal with them. I’m not quite used to the dialect spoken by Dominico, his wife, Antonio and his wife just yet, so Enzo was left to take in all the information. Some 2 hours later in the car, and Enzo has to phone Antonio’s wife at least twice to be reminded of what to do. Once we were home with our juicy cargo, Enzo wanted to make Amarena Cherry Syrup and to get these babies sorted himself, which meant phoning Antonio’s wife again. Although it is admirable that Enzo should want to constantly (and it is constantly) test his powers of recall, it does mean that those who are not used to Enzo’s little memory lapses, could find it a little odd. As Enzo beavered away in the kitchen he phoned Antonio’s wife about 5 more times that I can remember myself. He will not write anything down during one of his ‘testing’ sprees. 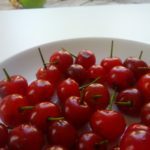 It took a while to understand completely what Enzo had to do with the cherries, and it was no good me trying to help him. 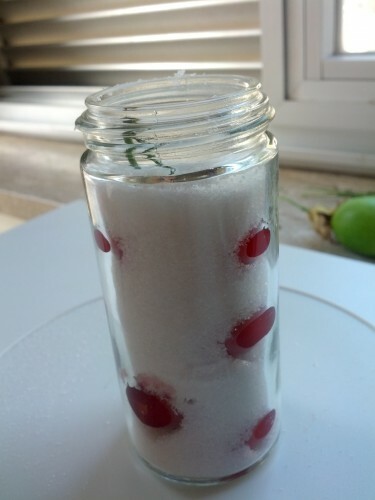 Anyway, here are the ingredients for what Enzo was making: Amarena Cherry Syrup. 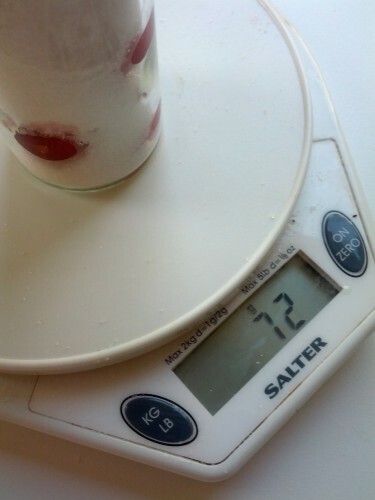 You will need an equal weight of sugar to cherries. 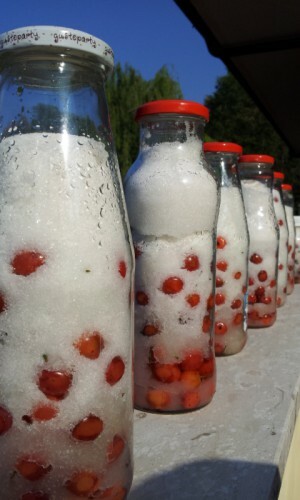 Right now there is a line of jars sitting on the wall outside and according to Antonio’s wife’s instructions, they have to stay there for 40 days and 40 nights and be turned over every day. 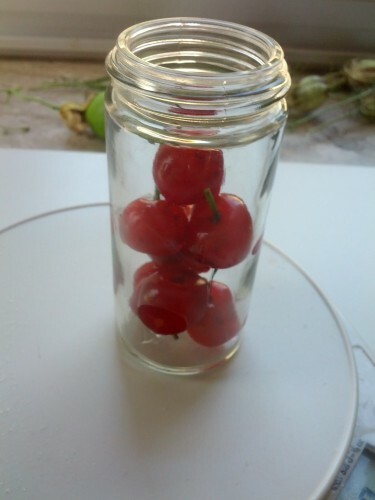 After the 40 days and 40 nights is up, decant the syrup into sterilized jars or bottles and save the cherries for a nice pie or cocktail. You can even freeze them. Seal the bottles of syrup and store in a cool, dry area. Pour over American pancakes at will! Thank you Hellbilly Mama! Best syrup EVER!! !